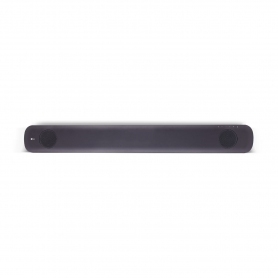 Sleek and minimal, this LG Soundbar is available in a dark grey, metallic finish to suit any room of your home. Wireless and Bluetooth connectivity mean you can pair the SJ9 with a range of compatible devices around the house, for top-quality sound. 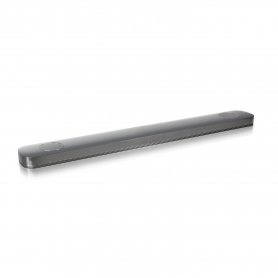 With 5.1.2 channel audio, this LG Soundbar uses two up-firing speakers to deliver vertical audio for a more immersive experience. Dolby Atmos features on the SJ9, putting you at the centre of a 3D soundscape. Freeing audio from predefined channels, Dolby Atmos allows each noise to be precisely placed, for more realistic sound recreation. Enjoy more accurate, detailed sound. 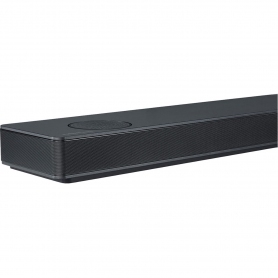 Adaptive Sound Control on this model analyses and enhances the sound mix of whatever you’re watching. Whether you’re listening to sports commentary or live music, the SJ9 adjusts audio levels for better clarity. 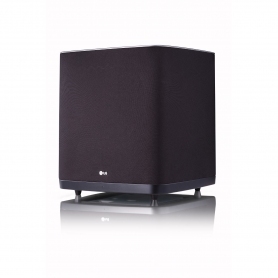 A wireless subwoofer is included with the SJ9, providing booming bass notes across all of your content. Without the hassle of cables, you can place this speaker anywhere in your living area – tailor your set up for the best possible audio. Bluetooth and wireless options allow you to stream music directly from your smartphone onto the SJ9. 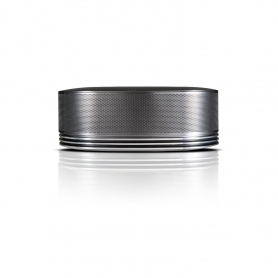 Connect conveniently and hear your favourite tunes with a superior level of sound quality. 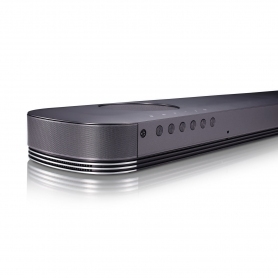 The LG Sound Sync feature lets you easily connect the soundbar to compatible models of LG TV, with no cables and no clutter. 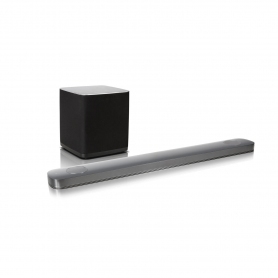 Enjoy home cinema sound, while keeping your screen clear and tidy. Thanks to its advanced audio processing technology, the SJ9 is capable of delivering 24 bit sound. This high-resolution quality means you can listen to studio standard sound, when playing lossless audio files. 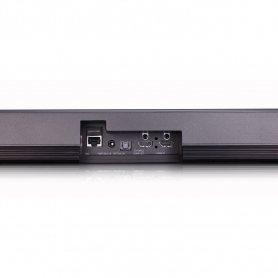 The SJ9 can also be used as an intermediary for 4K video or audio, without any loss in quality. 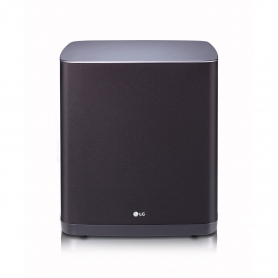 Giving high-resolution sound across a wide range of compatible file types, the SJ9 from LG gets the best out of all of your audio content. Order yours today.